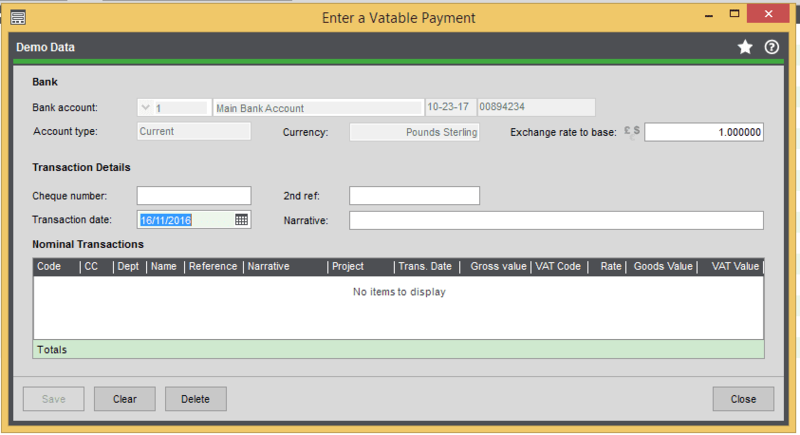 Project Accounting - Why Can't I Enter My Transaction to a Project in Sage 200? 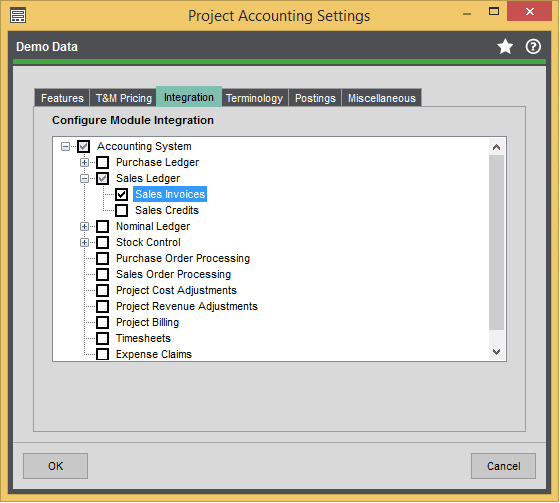 Project Accounting – Why Can’t I Enter My Transaction to a Project in Sage 200? Do you use Project Accounting in Sage 200? Do you ever have items missing from the forms due to the settings? The module of Project Accounting is highly configurable. Allowing you to report and analyse on costs and revenues on a Project level. However, as so many aspects of the module, it is only logical that there are a lot of settings! These settings may then restrict what you are trying to do. So I have gathered a few of our most common scenario’s and provided the setting responsible! 1. While in the Sales Ledger entering a Sales Invoice, I am unable to see the Project Analysis Tab? 2. When in the Purchase Ledger, entering a Purchase Invoice, the Project Item required against a Project isn’t available for selection? 3. When entering a Sales Invoice there are a number of projects entered on the system not allowing selection from the drop down. Why aren’t they showing? The status of the project may not allow revenue. You can see this by going to Project Accounting > Project Maintenance > Project Statuses. Then, select the box for allowing Revenue. 4. 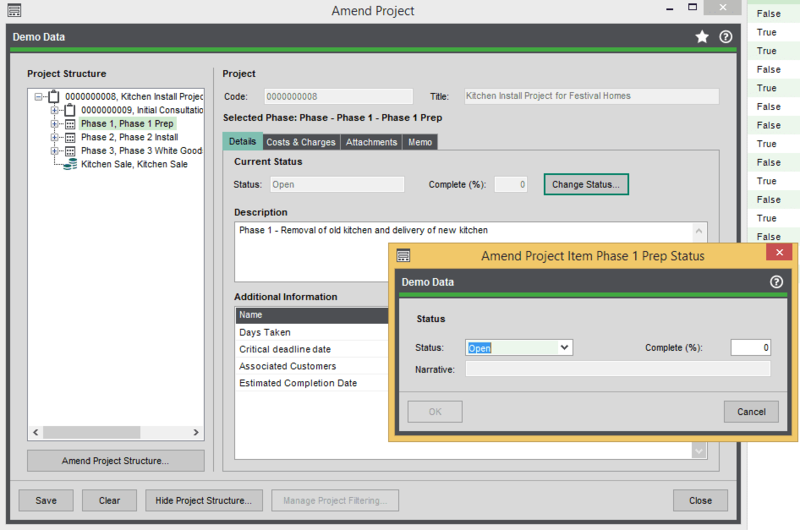 While in the Nominal Ledger, entering a Nominal Payment, I am unable to see the Project Analysis Tab? 5. Setting up a new Project, I am trying to add in a particular project item into the structure but I am unable to see it in the list. Where would it be? 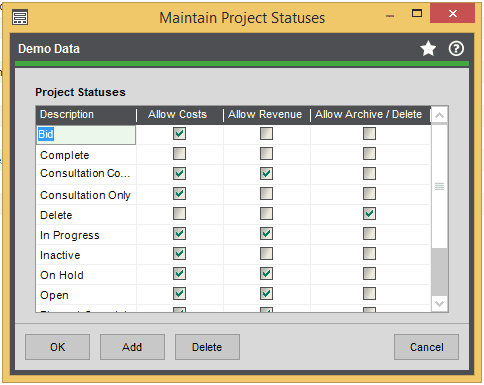 Edit the project item by going to Project Accounting > Project Maintenance > Project Items and Groups. Make sure the tick box on the top right hand side is selected on the top right hand side. 6. When entering a Sales Invoice the Project Analysis tab is showing, however when entering a Sales Credit note the tab isn’t showing? In Project Accounting > Utilities > System Set up > Project Accounting Settings > Integration > Sales Ledger > Sales Credits. (Ensure this is selected). 7. When entering a Purchase Invoice, there is a particular Project Item not available for selection. The status of the project allows costs and the Project Item is available for selection? The status of the project may allow costs, however, the group that the project item is within may have a different status… this status may not allow costs. You can change the settings for the status to allow costs by going to: Project Accounting > Project Maintenance > Project Statuses. However, another option would be to change the status on the group by amending the project and highlighting the group. On the details tab, select the button to ‘change status’. If you now change this to a status that allows costs, you should have the item for selection. 8. I am unable to enter a project issue from stock control, I am having an error about integration? In Project Accounting > Utilities > System Set up > Project Accounting Settings > Integration > Stock Control > Stock Issues. (Ensure this is selected). Hopefully this blog has helped you learn something new and solved some of your problems! We have a library of Sage 200 blogs on a range of different subjects, so do be sure to have a flick through our Blog page. How does getting the best Sage 200 tips and tricks sent to your inbox once month, every month sound? Click here or the banner below to subscribe to our Sage 200 Buzz Newsletter! 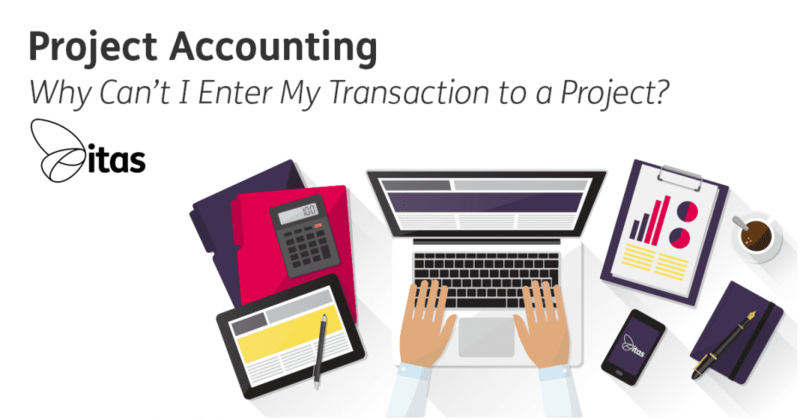 Home » Sage Blog » All Sage Blog Posts » Project Accounting – Why Can’t I Enter My Transaction to a Project in Sage 200?